We opened our first purpose built leadership centre in Staffin on the Isle of Skye in 2000 and we opened our second centre at Ardoch on the banks of Loch Lomond in 2010. The core of our work is through our transformational leadership academies which we run for young people from tough realities and the key adults in their lives. We use the term tough realities as we all face tough realities regardless in our lives regardless of stage or background. Some of the tough realities our young people face are growing up in care, leaving care, young carers, low income families and living in areas of multiple deprivation. They face challenges on a daily basis that mean they have consistent barriers to fully engaging in society. Our social enterprise café at our community and international leadership centre generates key income which is then invested into our work. There are no jobs with Columba 1400 at the moment. Sign up to email alerts below to get notified when new jobs are added. 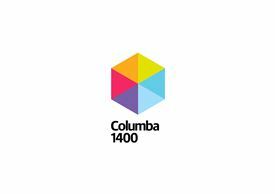 Get the latest jobs from Columba 1400 sent direct to your inbox!